provide a fantastic option for storage in South Carolina. Our management office is located at 2454 Wilson Road, Newberry, South Carolina. At the intersection of SC 76 and SC 121, in Newberry! Got more Stuff than you can store? Need to store Company records cheaply? The Heritage Mini-Storage and Mini-Warehouses of Newberry is here for you! With locations on College Street and Heritage Drive in Newberry, we offer convenient and secure storage for your valued furniture, records, clothes, appliances or whatever you need but don’t have room to keep at home. The Heritage Mini-Storage, located on 3433 Riley Road, just off Heritage Drive, provides Climate Controlled space and large storage space. It is Newberry’s ONLY climate controlled mini-storage. The Climate Controlled units maintain an acceptable humidity for storage of furniture, records and documents, art work, clothes and other valuables. The Large Storage Units are designed for large recreational vehicles, boats on trailers, cars or just warehousing storage. These large spaces are 630 sf with electrical power hookups for Rvs. The Heritage Mini-Storage area is asphalt paved with a security fence and gate that is closed during night hours. The entire site is well lighted and maintained daily. Units have metal walls and concrete floors for durability and security. 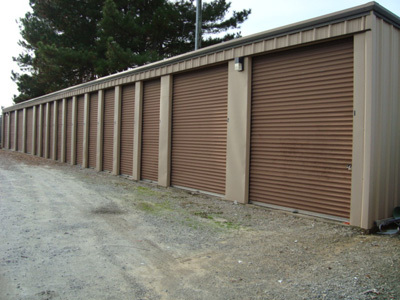 The Heritage storage features units ranging from 5’ x 12’ to 14’ x 45’ in size. Mini-Warehouse of Newberry, Inc (College Street). The Mini-Warehouses of Newberry are located at 3279 College Street. The site is completely secured with fencing and gates that are closed during evening hours. It is well lit and drive-ways are graveled. The site is maintained daily. This site features economical spaces ranging from 5’ x 12’ to 22’ x 30’ in size. 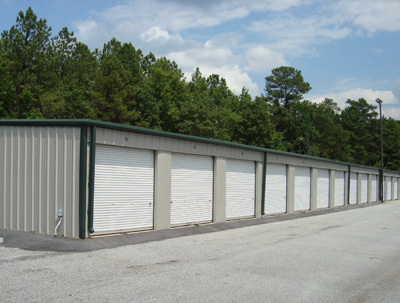 Units have metal and plywood walls and concrete floors for durability and security. Copyright 2011 West Electrical Contractors, Inc. All Rights Reserved.